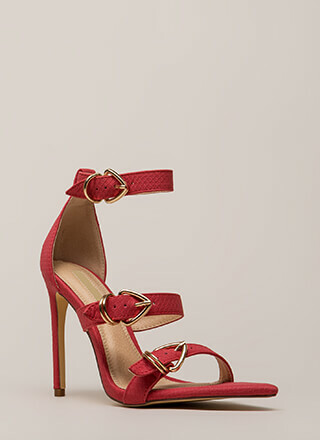 Love strappy heels? Double your pleasure with this luxe pair. 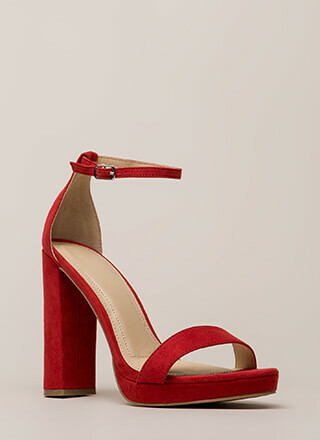 Open-toe satin heels feature an open sandal design that includes a single toe strap and double wraparound skinny ankle straps, complete with an adjustable buckle. Shoes are finished with exposed sides, a stiletto heel, and a ridged sole.